Gorgeous Peacock designed broad big size American Diamond Ruby Stones Fancy Looking latest design One gram gold plated Jhumka. Adorn this delicately made beautiful grand look bridal jhumki earrings on marriage functions or Party. Gorgoeus pair of one gram gold plated and Intricately crafted Jumkas. 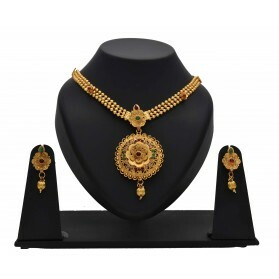 This jewel set features a unique one of a kind traditional embellish with gold finish. It will adore any age women on ring ceremony, wedding and festive time. They can also wear it on regular basics. Make your moment memorable with this Jimikki. Alluring Micro Gold plated medium size Ruby Jhumka earrings at an affordable price. 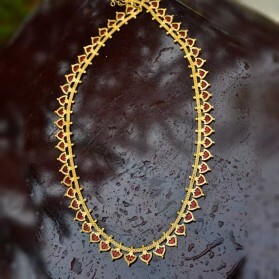 Ruby stones paving jumkas with variants of Ruby, Emerald and American Diamond stones and embellished with golden bead danglers. 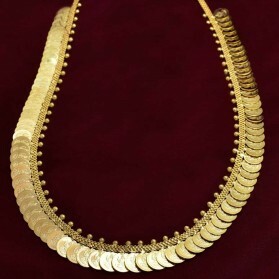 This jewellery is meant for occasional, Marriage or party wear. 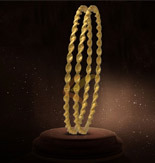 One gram Gold plated Palakka two-step Ear drops with stones. These earrings are very traditional and Ethnic South Indian, Kerala Jewelry. It is best with Palakka Necklace or Mala. Gorgeous Antique Gold-Plated Big Kemp Jimikki/Jhumka Earrings is exquisitely designed and embellished with faux pearls hangings and Kemp stones. Perfect to compliment your traditional attire. 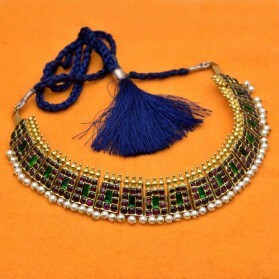 Wear this on any occasion with ethnic wear or Sarees. Available in Three colours. The big sized Gold Plated Flat Rimmed Umbrella Jumka earrings is very beautiful and can be paired with any ethnic wear. These earrings will give attire and traditional touch. It is apt for youngsters and women who like to wear big earrings. Designer Big Golden Bridal Jumkas With Golden Bead Hangings are simply outstanding. This Intricately crafted Jumkas with traditional design go well with modern or traditional wear. Screw type back. It will adore any age women on ring ceremony, wedding and festive time or regular basis. 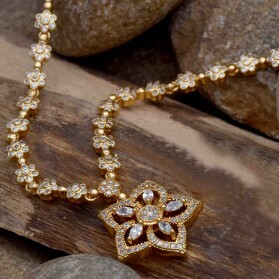 Make your moment memorable with this Jimikki. Elegant Antique Matte Kemp Stone Jhumkas/Jimikki Earrings is a very trendy party wear Jewellery. These gorgeous earrings have big studs and Pearl Hangings. It will give a classic and trendy look to your beauty on festive occasions and Marriage with any outfit.